A week of impressive Russian art sales at Sotheby’s concluded on Wednesday (28 November 2018), realising a combined total of £23 million. 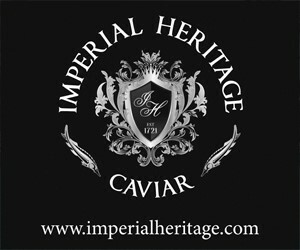 All three sales reached totals above their pre-sale estimates, but the Russian Pictures sale alone raised £13.4 million and set two artist records. 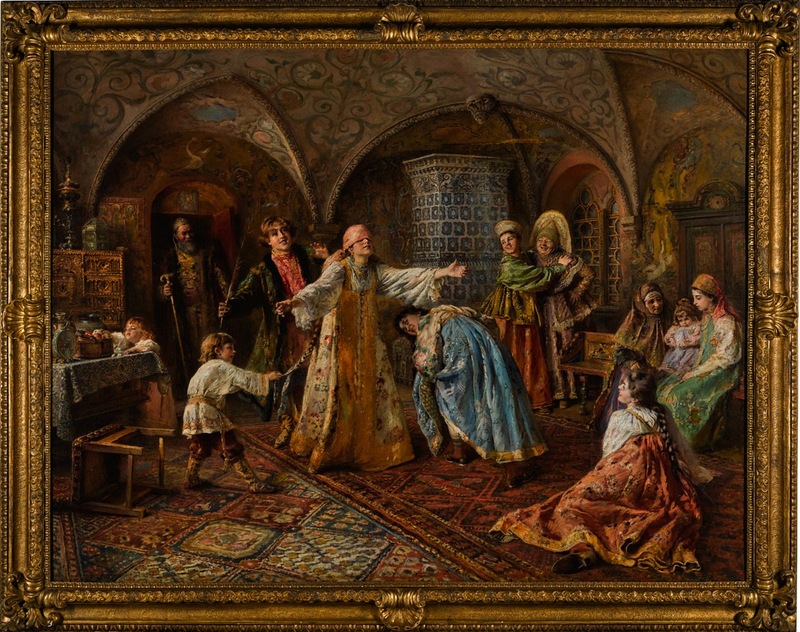 The first, for Konstantin Makovsky—whose epic canvas Blind Man’s Bluff (c.1839-1915) sold for £4.3 million. The second, for Georgian primitive painter, Niko Pirosmani. 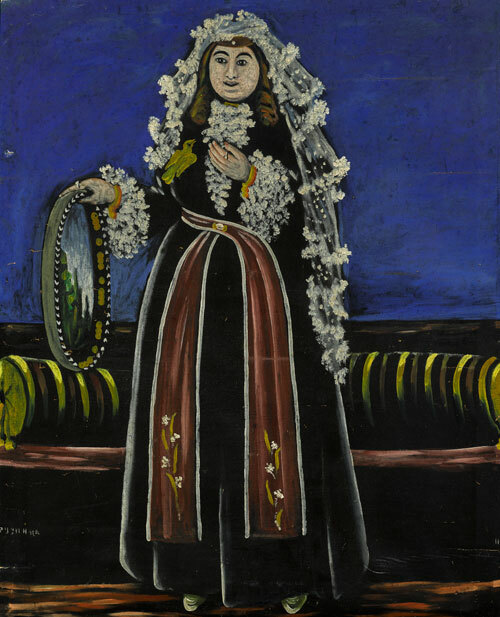 Georgian Woman Wearing A Lechaki tripled its high estimate, making £2.2 million. The same sale hosted some of the biggest names in Russian art and notably featured Nicolai Fechin’s Portrait of a Young Girl (c.1910) (£610,000), Robert Falk’s Greek Woman (Portrait of Inna Costakis) (c.1955) (£442,000) and Yuri Pimenov’s Street Scene in Novorossiysk (1929) (£212,500). Leading the Russian Works of Art, Fabergé and Icons sale were exquisite silver-gilt and cloisonné enamel decorative arts crafted by goldsmith, Feodor Rückert. 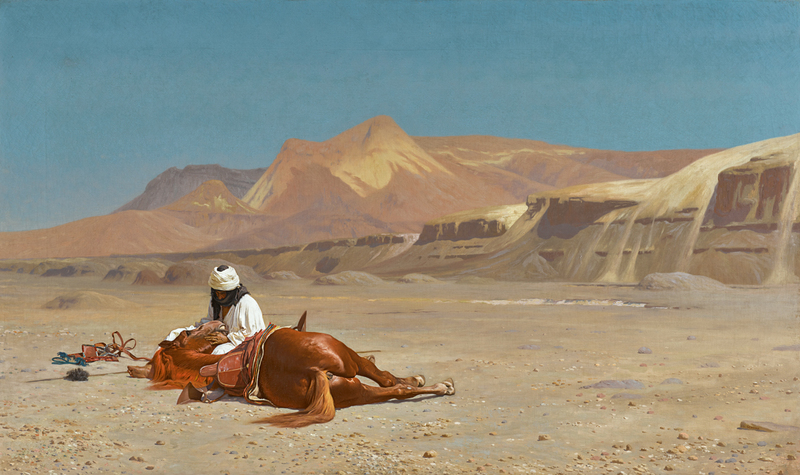 The top lot of the sale—a monumental kovsh—sold for £490,000; eight times its estimate. The sale totalled £5.9 million, with further highlights including Russian portrait miniatures from the collection of Dr Erika Pohl-Ströher—one of the most important private collections ever created and featuring a number of works of the Russian Imperial Family. A portrait by Vladimir Borovikovsky of Count Alexei Ivanovich (1794), who served under Tsar Alexander I, sold for £106,250. The week’s Russian sales concluded with the auction of the private collection of Mstislav Rostropovich and Galina Vishneskaya, which realised £4.2 million. Following the 2007 sale of the Rostropovich-Vishneskaya art collection, the auction offered a more intimate look into the lives of the celebrated musical couple. The first time one of the maestro’s personal musical instruments has been sold, the 1783 Guadagnini cello achieved £1.9 million. Jewellery belonging to Vishneskaya also performed well—with a Cartier emerald and diamond ring selling for £150,000 and an emerald and diamond pendant necklace fetching £87,500 after competitive bidding. 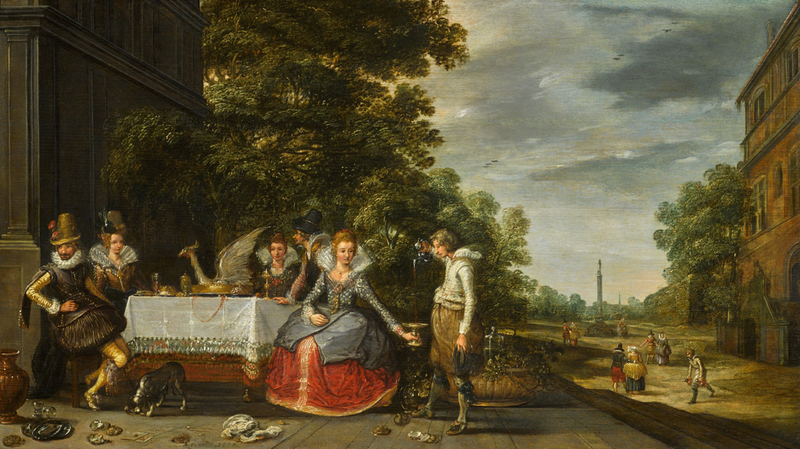 If you enjoyed this article, head to ‘Sotheby’s View’ at Arts & Collections for more memorable upcoming auctions and impressive sale results.